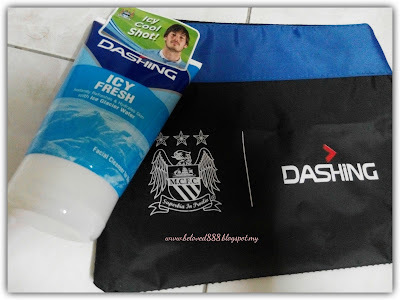 Dashing has partnered with Manchester City Football Club, to create some amazing products and experiences for all sport lovers in Malaysia. 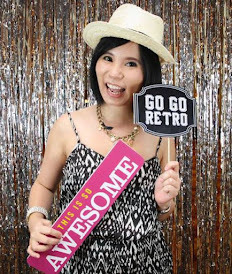 As all of us know Dashing's products ranges start from EDT, deodorants , body showers to facial cleansers, hair gels and talcum powder. 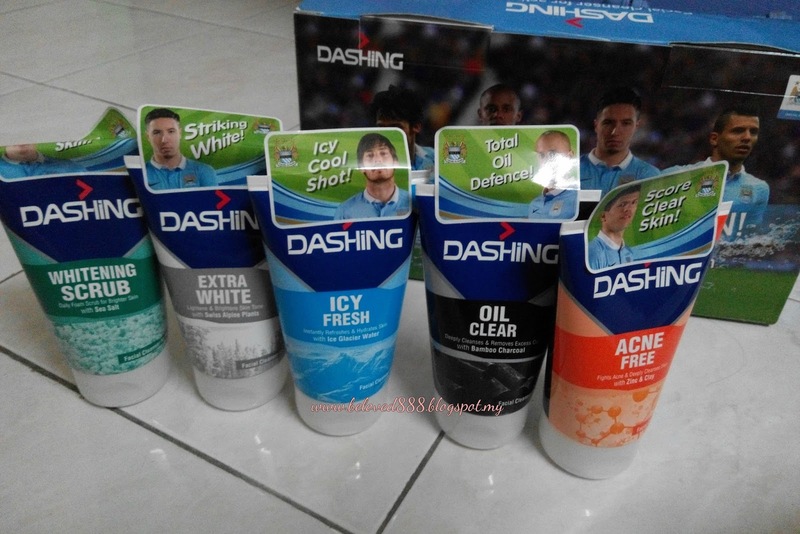 After the recent launch of the Dashing and Manchester City Football Club Range of limited edition EDTs and Deodorants, Dashing is all set to revolutionize skin care for Malaysia Men. We always have perception that men seldom care about their appearance but the reality is completely different. Today's heroes are legends in the sport arena who have their own statement style and take care of their appearance like Sergio Aguero, Vincent Kompany, Samir Nasri and David Silva. 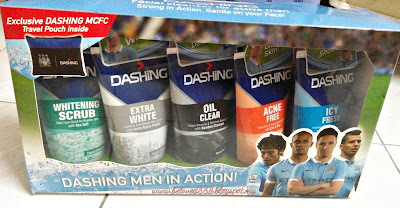 Dashing is proud to introduce the new range of facial cleansers inspired and endorsed by Manchester City Football Club. 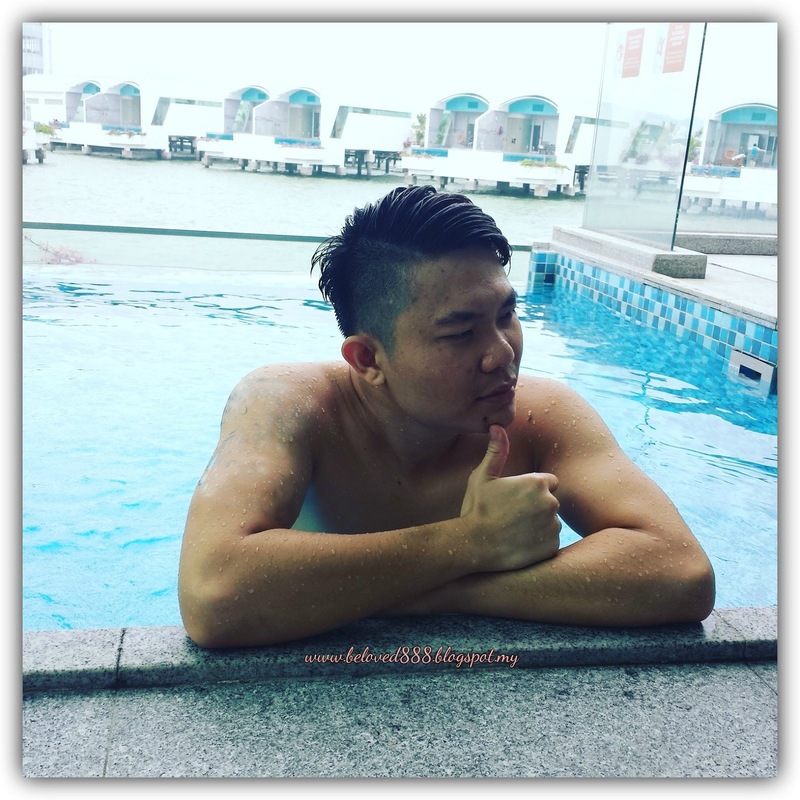 These cleansers have been created especially for Asian Skin and suit for Asian climates. The ingredients are carefully selected to fight common skin issues of men. This range of cleansers is strong in action and gentle to the skin. The Range consists of five products as each designed to combat the most common skin issues faced by men with an active lifestyle. ICY FRESH : Dashing Icy Fresh contains Ice Glacier Water for instant freshness and skin hydration. It provides long lasting freshness and cooling sensation to the skin by instantly relieving excessive heat. Tackle the dryness and kick it cool like David Silva. OIL CLEAR: Dashing Oil Clear formulated with secret ingredient bamboo charcoal that removes dirt & excess oil from the skin giving oil free look instantly. Build the strongest deference against oil like midfield defender, Vincent Kompany. EXTRA WHITE: Score striking white skin and be outstanding like Samir Nasri. Formulated with Swiss Alphine plants, Dashing Extra White gives you lighter, brighter & even tones skin. It also appearance of UV induced dark spots. ACNE FREE: ' Nobody knows how to tackle & score better than Sergio Aguero!' Kick off acne with Dashing Acne Free specially formulated with Zinc & Clay to fight the acne causing bacteria. 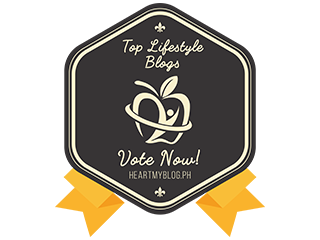 It also promotes smooth and healthy complexion, score clear skin in no time! 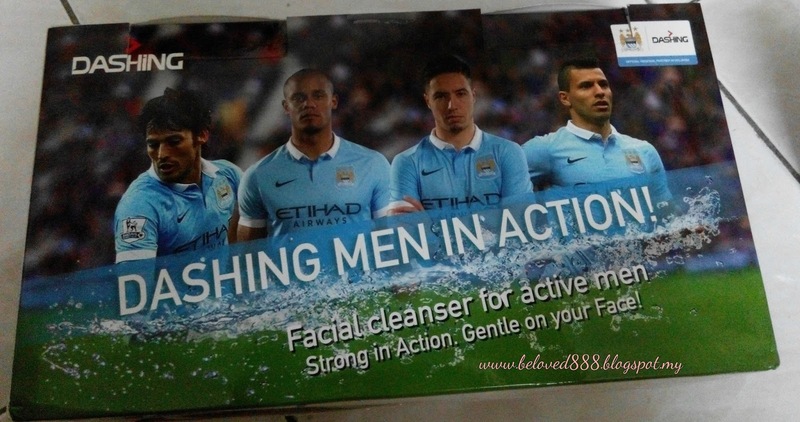 WHITENING SCRUB: Who said men can't have flawless skin? Dashing Whitening Scrub is formulated with sea salt that deeply cleanses & exfoliates to provide an even skin tone. It helps to unclog pores, remove impurities and blackheads. Let's score your way to a flawless skin like Kevin De Bruyne! 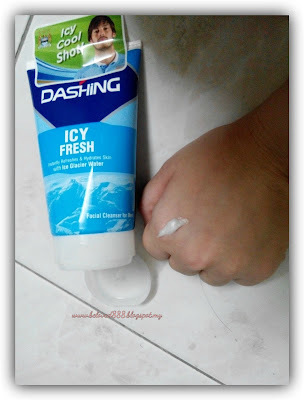 My man love Dashing Icy Fresh very much. Smooth texture and icy feeling when he wash his face. I love to touch his smooth and clean face. Now his facial cleanser has changed to Dashing and he brings it when he is travelling or go swimming. 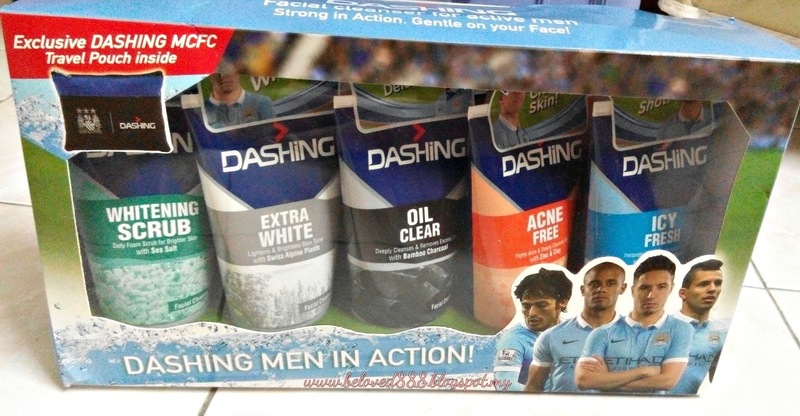 Dashing Facial Cleansers are available at 100g for RM 10.90 and 50g for RM 6.90. Enjoy your active lifestyle without worrying about your skin issues as Dashing will be your savior. 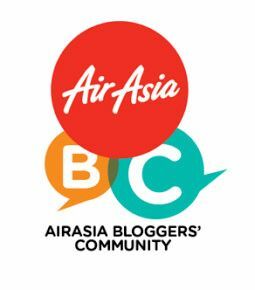 Psst....Dashing is running a National contest and will be giving opportunity to 11 lucky winners to go on a 6 day 5 nights fully paid trip to Manchester, UK. This trip will include a 3 day training camp at the City Football Academy with Academy coaches. 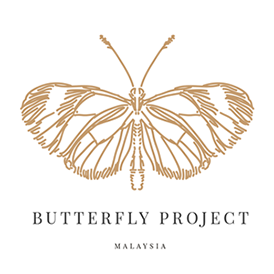 An opportunity to get up close to the 1st team players, an Etihad Stadium tour and VIP tickets to watch the LIVE match betwen Manchester City FC and Manchester United on 19th March 2016. Buy any Dashing or Elite products and send simple SMS to enter the contest which ends on 31st December 2015.